Our specialization, experience, knowledge, and 100% success rate with over 5,000+ US K1 fiance visa and CR1 marriage visas from Thailand to the United States assures that your Thai girlfriend, Thai fiance or Thai wife is guaranteed to receive her visa and with the shortest processing time. U.S. Immigration Legal Advisors’s sole area of practice is US K1 fiance visas and CR1 marriage visas from Thailand to the United States for your Thai girlfriend, fiance, or wife. We do not process other types of visas to America, nor do we process fiance visa or marriage visas to other countries. 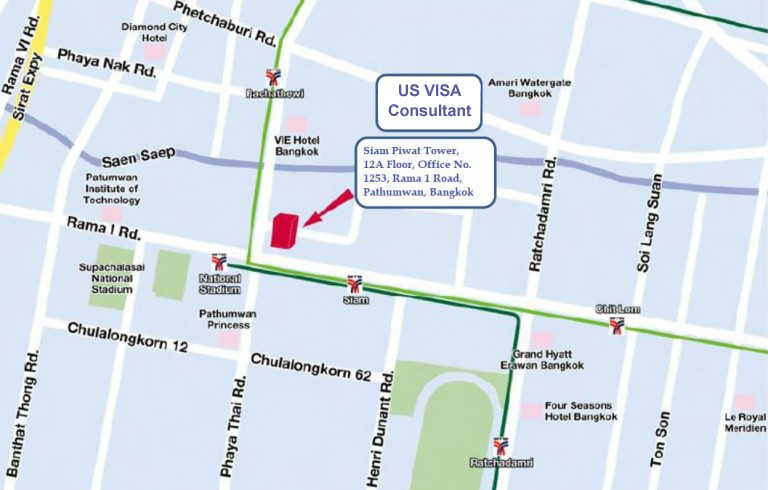 As a result of our firms sole focus on processing US K1 fiance visas and CR-1 marriage visas from Thailand to the USA, we have processed more US K1 fiance visa and CR1 marriage visas to the USA from Thailand than all other Thailand based and US based immigration attorney’s and visa service companies, combined. This has earned our firm the distinction of being the most experienced and knowledgeable in this field. The only additional services we provide support the US K1 fiance visa and CR1 marriage visa application process. For example: all of our clients require adjustment of status to permanent resident (Green Card) once they are in the United States along with employment authorization and a advance parole travel permit, we obtain child custody though the Thailand Family Court for our clients who will bring their children to America, and many of our clients require prenuptial agreements. Our philosophy: is to treat you and your Thai girlfriend, Thai fiance or Thai wife with kindness, compassion, respect, sensitivity, sincerity and commitment. Genuine concern for and commitment to our clients is what sets us apart from other firms. We truly care about our clients and it is no doubt that our caring commitment plays a part in sustaining our 100% success rate. U.S. Immigration Legal Advisors, which is based in Thailand and America, is headquartered in Bangkok, Thailand as the primary focus of the visa application process is with your Thai girlfriend, Thai fiance or Thai wife. We are Thailand’s First American owned U.S. Immigration Law Firm. We were the first American owned firm to operate in Bangkok offering US K1 fiance visa and CR1 marriage visa services to the United States of America, but we certainly haven’t gone un-noticed. Many firms have followed motivated by our successful example. Before commencing any visa application, we conduct a prequalification assessment to determine, in advance, if the parties (you and your fiance / wife) meet the requirements. As Thailand’s First American owned U.S. Immigration Law Firm, our extensive experience enables us to predetermine the success of a visa application with 100% accuracy. 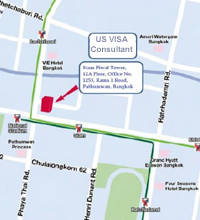 Our expertise is the result of processing more visas from Thailand to the United States than all other firms combined. If either of the parties’ does not qualify for the visa, we have the ability to enable a change in circumstances whereby a non-qualifying party can meet the requirements, in most cases. In cases where steps can not be taken to qualify the parties, we will advise the parties of their ineligibility in advance of commencing a visa application, explain their situation in detail, provide a print out of the applicable law, and explain their options, if any. Given our experience, it is a rare occurrence when we are unable to qualify applicants to meet the requirements. Aside from an outright ineligibility, there are a number of obstacles that can be encountered with routine visa application processing. During our prequalification assessment we identify and eliminate any and all pressure points that would or could effect the smooth, efficient and timely processing of the visa application. Our prequalification review assures you that your time and money will not be wasted and that you can enjoy peace of mind knowing that the visa will be issued. This is evidenced by the hundreds of testimonial letters from our clients that have been posted on our website for your consideration. Before a potential client engages a firm and makes payment, we believe the firm should provide the client with an assurance of success. We also believe a firm is not qualified to represent you if they can not predetermine the success or failure of your visa application. You should disregard cleverly written excuses, including but not limited to “we guarantee our work but businesses can’t guarantee government approval”, and then ask yourself why these firms don’t have testimonial letters from their clients posted on their websites. Our comprehensive knowledge of immigration laws, visa processing requirements and procedures, our extensive experience having processed more visas from Thailand to the United States than all other firms combined, the fact that we are Thailand’s First American owned U.S. Immigration Law Firm, and our prequalification assessment, enables us to predetermine, with 100% accuracy, the success of a visa application. It is simple logic, that our prequalification assessment enables and maintains our 100% success rate.